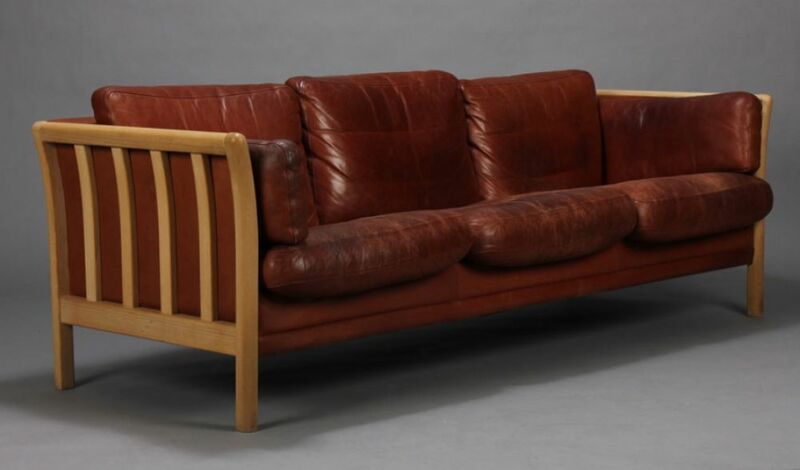 This classic sofa was made in Denmark, probably in the 1980s. 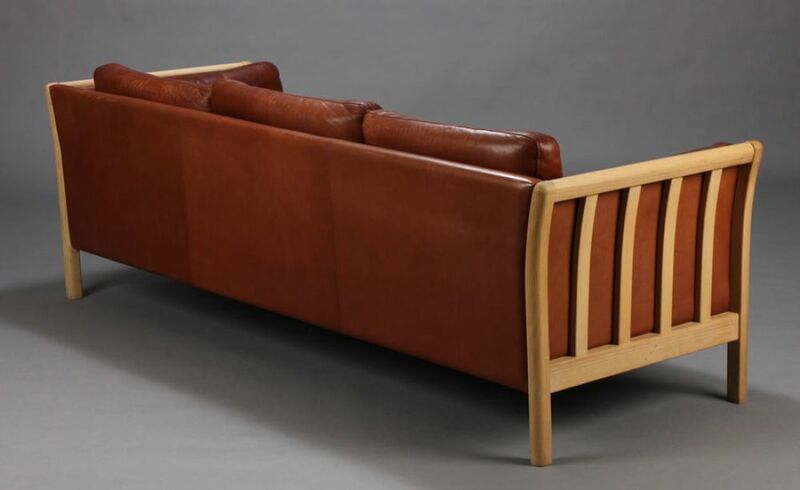 It is based on the designs of Borge Mogensen from the 1950s. 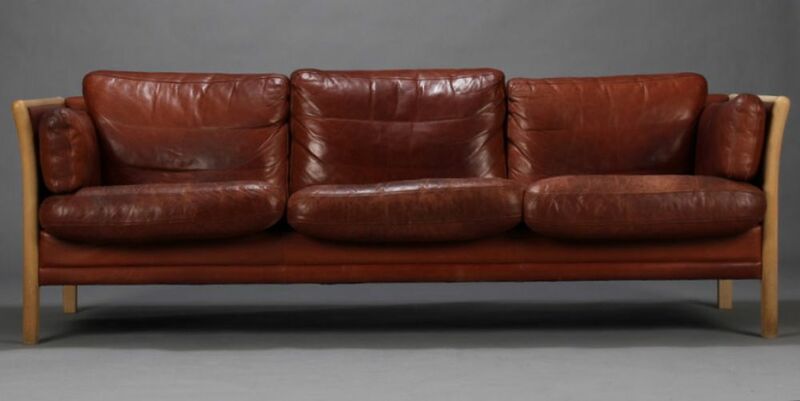 The leather is a rich mid tan colour that has developed a wonderful colour and patination where it has been used and worn. The sofa has great style: elegant, modern and comfortable. Although the design is modernist, the lines are classic and therefore would fit well in a contemporary or traditional setting. The condition is good but please be aware there is a hint of tobacco smell with this suite. They have been treated with a professional car valeters de-odourising machine but there is still a residual. Over time the smell will disappear. 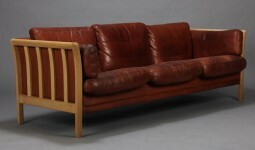 The measurements of the three seater sofa are 82½ inches (210 cm) wide, 31 inches (79 cm) deep and 27 inches (69 cm) high.